This is probably Mexico&apos;s most popular holiday. Dia De Muertos is also known as Day of the Dead. So you can guess what kind of party this is... A celebration of the dead. And it fall just after Halloween. Dia de Muertos is a time to celebrate and remember those who have passed. It&apos;s a holiday to honor the dead with a joyous and festive celebration. Most people celebrate this as a loving holiday to stay connected to the unseen world. They adorn the graves of loved ones with flowers and offerings. But, there are some people that celebrate this holiday out of fear that their loved ones will seek revenge if they don&apos;t celebrate it. There is a lot of folklore and tradition surrounding Dia de Muertos. Dia de los Muertos is celebrated on Nov 1st and 2nd of each year. 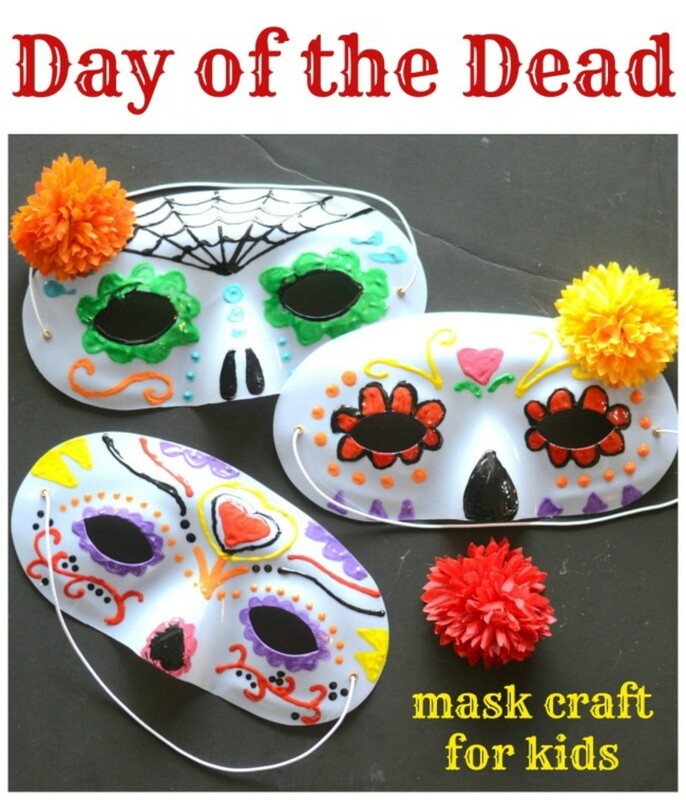 Day of the Dead is really the "days" of the dead, celebrating on All Saint&apos;s Day and All Soul&apos;s Day. Dia de Muertos is traditionally celebrated in the homes and graveyards in Mexico. 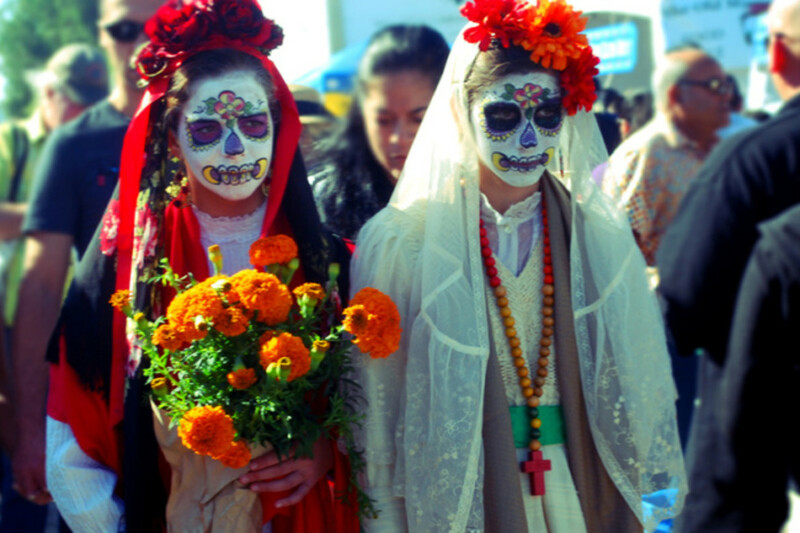 Often times there are festivals and parades to celebrate Dia De Muertos. 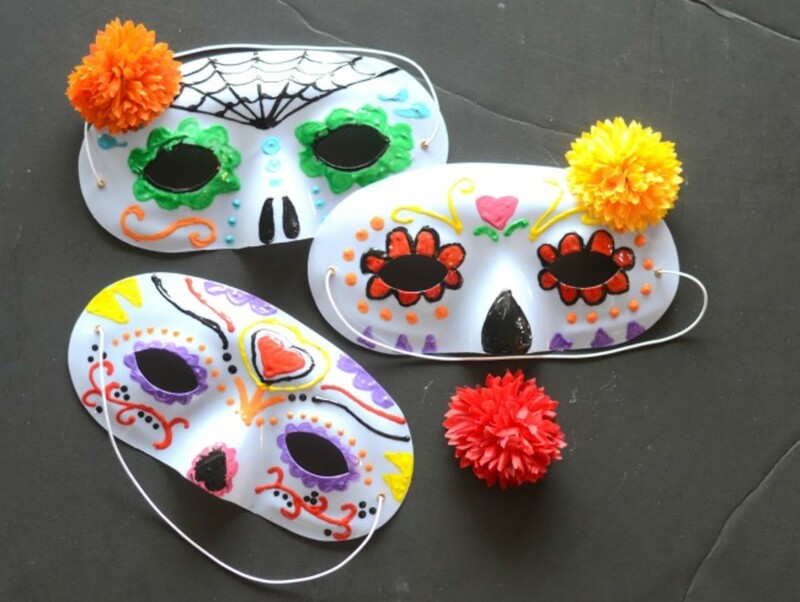 You can choose to celebrate Dia de Muertos in several ways: Create an altar, tell stories about your deceased loved ones, or create sugar skulls. Many people paint their faces and attend festivals and parades in their area. We celebrated Dia de Muertos by creating sugar skull masks. 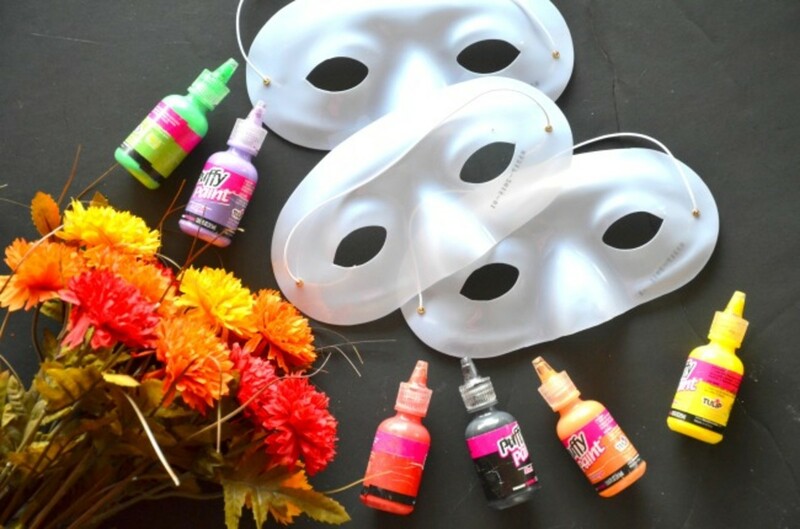 At my local craft store, I picked up a three-pack of plastic masks, some puffy paint, and a bunch of marigold-inspired flowers. 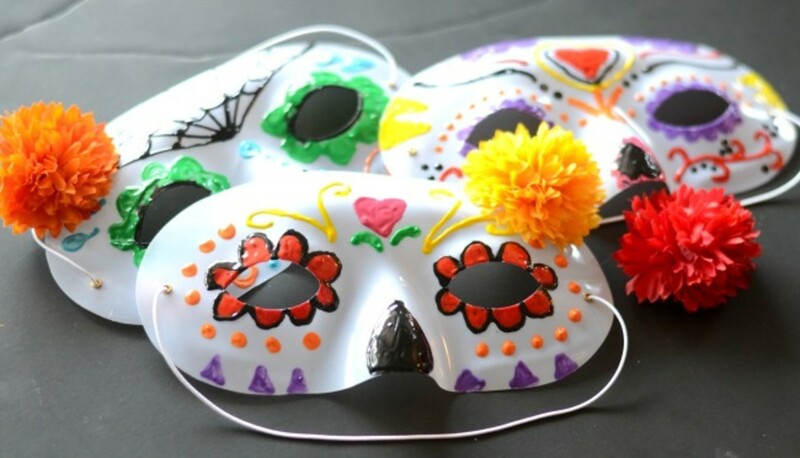 We used the puffy paint to create flower designs and other embellishments, like the traditional sugar skulls of Dia le Muertos, around the eyes. Originally I thought I would glue several flowers on each mask, but I didn&apos;t want to take away from the designs so I ended up only adding one flower to the corner. 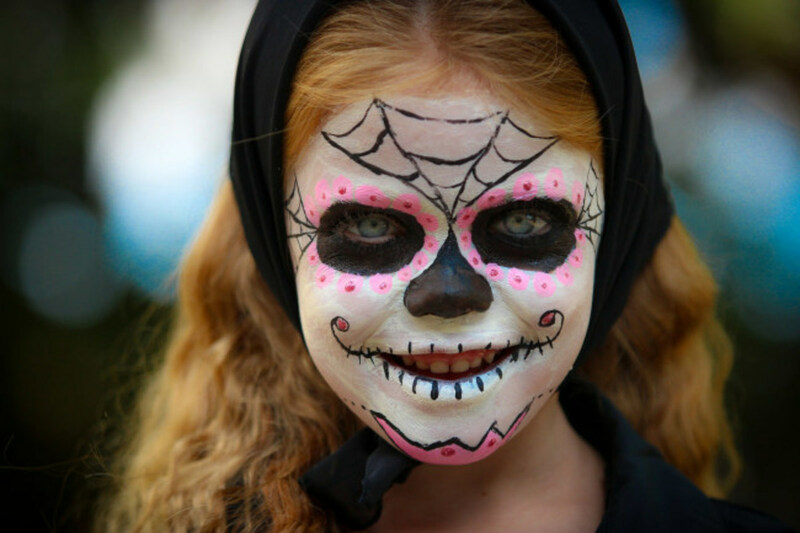 Tucson is having an All Souls Parade the weekend after Halloween, and we can&apos;t wait to attend. Check your town news to see if there are any local festivities to join this year. 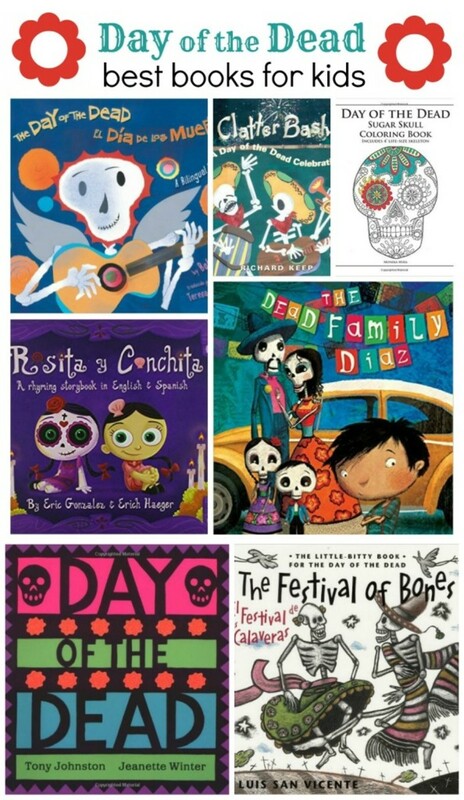 As you know we love themed books for kids and we&apos;ve found some of the best Day of the Dead books to share with your kids. 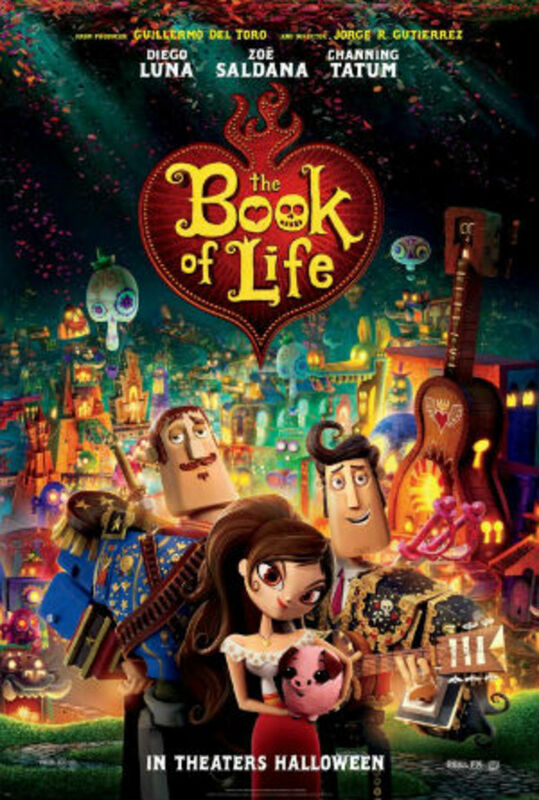 Also a fun movie for kids is the 2014 movie The Book of Life. It&apos;s inspired by the Dia de Muertos holiday. Be sure to check out our other worldly holidays to celebrate with kids.